Plaque is a sticky, soft film of bacteria that builds up on your teeth, dental fillings, gums, tongue, dentures and crowns. When multiple layers of plaque combine with minerals present in your saliva, it hardens into a white, chalky calcified substance called tartar. It create a breeding ground for the oral bacteria that feed on sugars from the food you eat. Plus, it forms acid during this process that breaks down the tooth enamel, leading to dental cavities. Bacteria also produce toxins causing various periodontal (gum) problems. 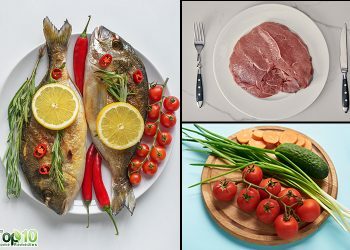 Several factors contribute to plaque buildup, such as improper oral hygiene, bad brushing technique, poor food choices, heredity and lack of professional care. Brush your teeth with a good toothpaste at least two times a day. Use a soft, nylon brush with rounded, polished bristles. Hold the brush at a 45-degree angle against your gum line. Make sure you brush your tongue as well because it supports growth of bacteria leading to plaque buildup. Use dental floss regularly to clean your teeth and gums. 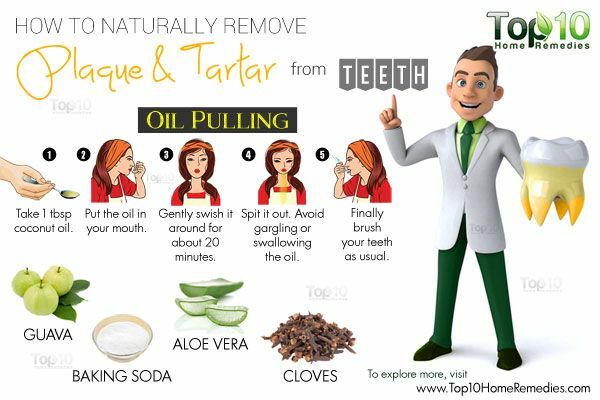 In addition to regular dental hygiene, you can use some natural remedies to remove plaque and tartar. Remember, once the tartar has mineralized on your teeth, it is extremely difficult to remove. However, if you regularly remove plaque, it can help prevent permanent tooth decay. Here are the top 10 ways to naturally remove plaque and tartar. Oil pulling is an age-old practice that supports oral health and helps remove plaque from teeth. Extra-virgin coconut oil is great for oil pulling because it is high in lauric acid that has anti-inflammatory and antimicrobial effects. A 2015 study published in the Nigerian Medical Journal suggests that oil pulling with coconut oil is effective at reducing plaque formation. 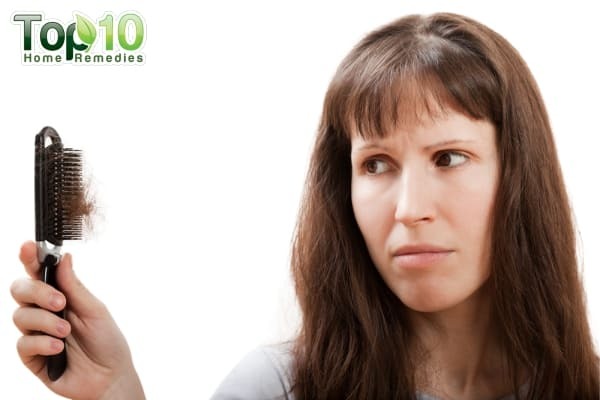 Swish 1 tablespoon of extra-virgin coconut oil around in your mouth for 15 to 20 minutes. Spit it out. Do not gargle with it or swallow it. Brush your teeth as usual. Repeat daily, in the morning before eating anything. Plus, you can massage a few drops of coconut oil on your gums daily. You can also do oil pulling with warm sesame oil. Baking soda, also called sodium bicarbonate, is a great home remedy for removing plaque. It neutralizes acids in the mouth, thereby reducing the amount of harmful bacteria. It also helps whiten and brighten your pearly whites. A 2008 study published in The Journal of Clinical Dentistry analyzed five clinical studies and concluded that baking soda paste or powder can more efficiently remove plaque than non-baking soda products. Put a small amount of baking soda on the bristles of your wet toothbrush and brush your teeth with it. Rinse your mouth and teeth thoroughly with lukewarm water. Alternatively, mix 1 teaspoon of salt with 2 teaspoons of baking soda. Dip a dampened toothbrush in the mixture. Brush your teeth with this powder gently. Another option is to mix 1 teaspoon of baking soda with enough hydrogen peroxide to make a paste. Use it to brush your teeth and gums, spit it out and rinse your mouth thoroughly. Use any of these remedies once or twice a week. 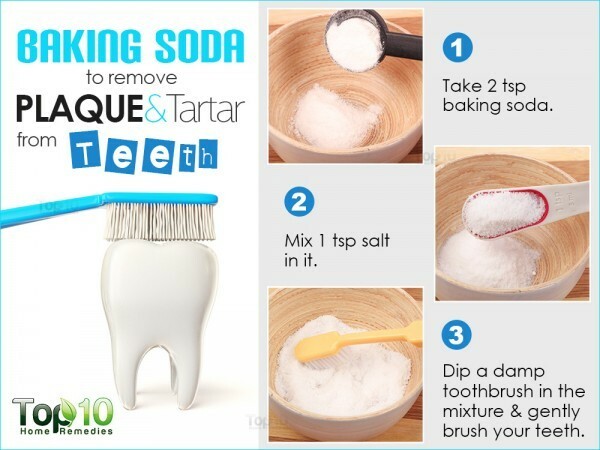 Note: Do not use baking soda in excess as it may damage the tooth enamel over time. Both guava fruit and leaves are considered excellent antiplaque agents to help remove plaque accumulated on the teeth and gums. Plus, they have anti-inflammatory and analgesic properties that help reduce swelling and pain in the gums. A 2014 study published in the International Journal of Current Microbiology and Applied Sciences showed that guava leaf extract causes a reduction in the adhesion of early plaque. It has excellent antibacterial and biofilm-inhibition activity against Streptococcus mutans that cause dental plaque. Wash some tender guava leaves and chew them thoroughly, then spit them out. Do this daily to reduce the risk of plaque formation on the teeth. Take a piece of unripe guava, sprinkle salt on it and chew it slowly. Do this 1 to 2 times daily for a few days. You can also use a mouth rinse containing guava leaf extract. Aloe vera is effective at dealing with gum disease caused by plaque and tartar. Being an antimicrobial, it kills the bacteria that cause plaque buildup. Plus, it fights bad breath. A 2014 study published in the Journal of Oral Health and Dental Management found that aloe vera demonstrates a similar effect on plaque and gingivitis compared with the benchmark control chlorhexidine mouthwash. Slit an aloe vera leaf and extract the pulp. Rub the pulp directly on your teeth and gum line. Leave it on for 10 minutes, then rinse it off with cold water. Use this remedy twice daily. Ground cloves have been widely used for ages as a home remedy to relieve toothaches. It can also be used to fight microbes in your mouth that may cause plaque and tartar. 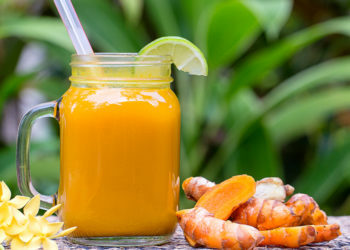 A 2014 study published in the Journal of Indian Society of Periodontology notes that an herbal mouth rinse containing clove, tea tree oil and basil reduced the microbial colony forming units, making it an effective antiplaque and antigingivitis agent. Mix 1 teaspoon of powdered cloves and a little olive oil. 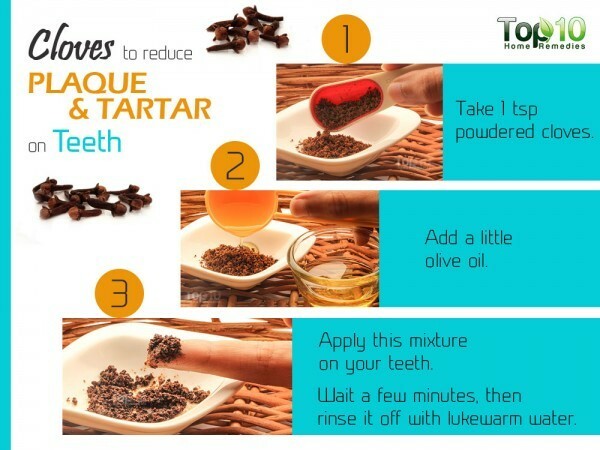 Apply this mixture on your teeth. Wait a few minutes, then rinse it off with lukewarm water. Do this twice a day. Also, chew 1 or 2 cloves on a regular basis to support oral health and reduce bad breath caused by the bacteria in your mouth. White vinegar contains acetic acid that can help prevent demineralization of enamel as well as prevent and reduce accumulation of plaque. It also has antibacterial properties. 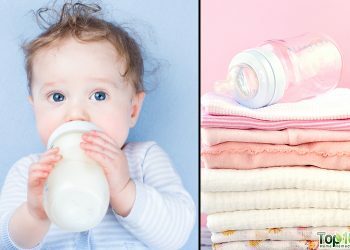 A 2014 study published in the International Journal of Advanced Health Sciences suggests that a significant amount of dissolution of plaque dextran was observed in vinegar (4 percent acetic acid) as compared to distilled water and glycerin. Mix 2 teaspoons of white vinegar and 1 teaspoon of salt in ½ cup of warm water. Rinse your mouth with this mixture once or twice a day. 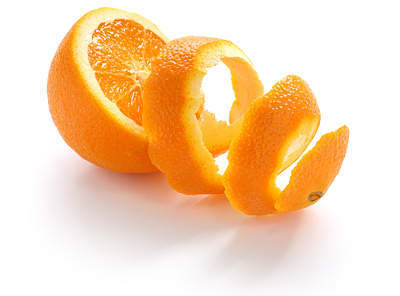 Orange peels are often used as a natural whitener to remove stains from your teeth. Plus, the limonene in orange peels helps break down plaque without eroding your enamel, while the vitamin C in them helps prevent growth of microorganisms on your teeth. Rub the inside portion of fresh orange peels directly on your teeth and gums before going to bed. Leave it overnight and rinse it off the next morning. Repeat as needed to keep your teeth clean and white. If you don’t have fresh orange peels, you can use dried orange peel powder. Rosemary essential oil works like a disinfectant to eradicate oral bacteria. It can prevent plaque buildup, cavities and help get rid of bad breath. A 2012 study published in the Journal of Applied Microbiology suggests that the plant extracts from rosemary inhibited the growth of oral bacteria, glucosyltransferase activity, glucan production and plaque formation. 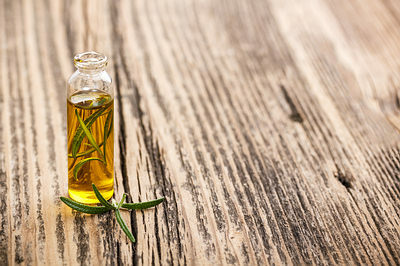 Mix 2 or 3 drops of rosemary essential oil in 1 tablespoon of water or carrier oil. Swish the mixture through your teeth for about 10 minutes. Spit it out and brush your teeth as usual. Do not swallow or gargle with it. If you don’t have rosemary essential oil, you can use sage or thyme essential oil. Rinsing with black tea can control oral bacteria and help reduce the risk of plaque formation, thanks to its antioxidant and antimicrobial properties. Plus, it is a rich source of fluoride. This mineral helps prevent tooth decay as it encourages better quality tooth enamel and reduces the ability of the oral bacteria to produce acid which causes tooth decay. A 2011 study published in The Journal of Dentistry of Tehran University of Medical Sciences suggests that fluoride-rich Iranian green tea and black tea have antibacterial (Streptococcus mutans) qualities. Steep a black tea bag in a cup of hot water for 5 minutes. 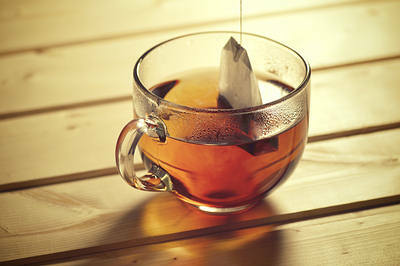 Squeeze the tea bag into the water to release the maximum amount of fluoride, then remove it. Allow the tea to cool, then use it to rinse your mouth. Repeat once daily to prevent plaque buildup. Cheese helps in the production of alkaline saliva that helps neutralize plaque acid. It helps create a protective layer around your teeth that keeps plaque bacteria’s acid at bay. Plus, it contains calcium and phosphates that help remineralize your teeth. 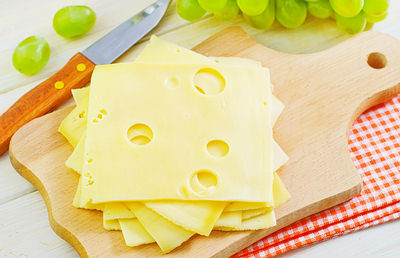 Eat a small amount of hard cheese after your meals to prevent plaque formation. Eat spicy foods to stimulate your salivary glands. Saliva helps clean your teeth and gums, thus fighting gum disease and dental decay. Chew a raw apple an hour after eating food. It will clean your teeth and help heal the gums. Eating figs can also strengthen your teeth and stimulate saliva flow. Make sure you chew them thoroughly. Limit your consumption of processed foods that contain sugar and starch. Oral bacteria thrive on sugary foods. Use margosa twigs as a toothbrush to brush your teeth. Get your teeth and gums professionally cleaned at least once a year. As a dental nurse – you should know better! THANK YOU, vey much for your information which was very significant to me and it should also be for other persons.They have to keeep in mind, that you did not have to do this and you did it out of the kindness of your heart.THANK YOU,THANK YOU,THANK YOU, so much and may you continue to do what you do best and may GOD bless you and your loved ones.BEST WISHES TO YOU. Just one word “confused” carries no meaning at all. Any thoughtful person don’t commit such mistakes. Write clearly “confused” on what point/s or manner, better. Princess, as a dental nurse you should use better spelling and grammar. When patients read your comment you would hope they are convinced you can adequately perform your job giving them confidence that your training was satisfactory. Otherwise there’s back-to-school specials on soon and it’s not too late to enroll into grade ten to touch up your mistakes. Maybe he/she is from Alabama. I know a guy who visited there once and said his neighbor was a flat-earther and believed there was only 10 million people in the world and that the world is overpopulated. Beautiful and right advice has been given for which I am thankful. The point here is that dental care has become more than the ordinary people can afford today. So before a dental nurse gets critical maybe her boss needs to look over the prices he charges the people he services as it has become a difficult choice as much as health care has become. Exactly! They Never give you any remedies, only charge, charge, charge, Went yesterday to a dentist and she took her metal tool and tapped my abscessed tooth so hard I had to go to the hospital in pain, no compassion just a quick assessment to see what I needed and what they would charge to do it. And off I went with antibiotics and pain pills. Hope some of these natural remedies work. I am in horrible pain from my head ears, throat, jaw, and very sick. I feel dizzy and feel my heart racing. I am really worried. Carol, I hope you are feeling better. I’ll say a prayer for you but it’s already a year later so I hope you are doing well. I hear coconut oil and tumeric powder together are also good to brush your teeth with and leave on for 5 minutes, then brush teeth as normal. I do it once in a while, they say twice a week is good. I don’t know all, I will try it, but baking soda I have done for years and it really works ! it really makes the teeth clean and bright. I’m a dental hygienist and I promise you the picture with the plaque/tarter removed is after a clinical hygiene appointment. The gum tissue is red and has a little bleeding because the instruments have been in the area removing the tarter. Not oil pulling, baking a soda or vinegar. 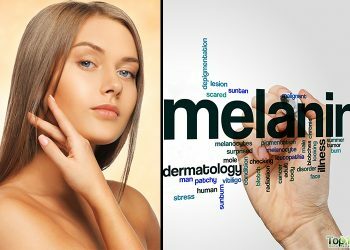 With that being said, I do not know the research behind those methods helping to stop these plaque and debris from forming. But I do know it will not remove the calcified deposits. The use of vinegar will slowly dissolve the calcified deposits. Therefore, yes it would remove them overtime. As would rubbing strawberries on your teeth and leave it there for 5 minutes before rinsing. They dissolve the calcified deposits with their respective weak acids, acetic acid for vinegar and citric acid for the strawberries. Using Magnesium oil sprayed onto your toothbrush instead of toothpaste will remove calcium deposits, remove fluoride damage, re-build enamel and whiten teeth…although not whiten as effectively as baking soda. Good effect all have use this product. These are useful and practical tips for maintaining oral hygiene and taking care of teeth. I knew I didn’t trust dentists for a reason especially when they talk and spell in gangster slang, all these dentists do is ruin good healthy teeth, just try bicarbonate soda and lime, mix together to a slight paste and apply to toothbrush and brush, I found this to be most effective. Interesting! Can you use lime juice, or do you have to squeeze a lime all the time? Interesting! Thanks for the info….is that a real lime you have to squeeze, or do you think lime juice would be ok? I have been doing the coconut oil for a good while now, 1 year, and is a good hygienic practise, expecially in the morning. It makes the muscles move and refreshen, and help you clean and feel your own teeth. But I am a smoker, and it is not true it helps whitening. Some other blogs say it helps to cure cavities, not true either, I have to keep going to the dentist. Good post anyway! Dentists should be giving more advises abouth personal hygiene, and help find the cheapest cures, but they are all so busy with their tools and appointments! True, true. Very true. Thanks. In the past 8 years, at least 4 times I had SCALING done due to repeated depositioning of ugly brown layer especially in the interior areas of teeth because of smoking of Indian Bidi. This not only increased gap between each tooth but also lead to unbearable sensitivity. Thanks for wonderful & effective tips. Yes. I tried only a few tips as per local availability but even few have worked like miracles. TIP : I combined Baking Soda + Lemon + Salt + Tooth paste + Coconut oil together. Result : Now no plaque or tartar !! Even the blurred crown (ie, a metal cap over 1 front tooth) shining !! Yea, now I give instant hearty smile !!! Avoid fluoride toothpaste, it’s poison! My dad used baking soda and water since he was a kid and never has had any teeth issues. He had all of his teeth when he passed on with only one cavity in a back molar. There is something to the use of baking soda for sure.